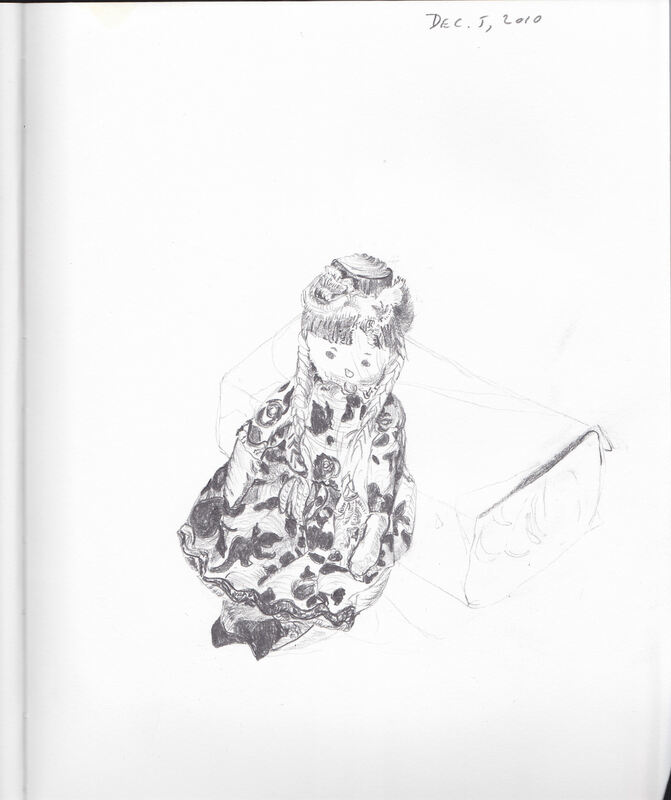 A graphite drawing of a tiny, old, ragdoll of mine in a black bound sketchbook. 8″ x 10 1/2″. Underdrawing for colored pencil and is a study for an out of sketchbook work on paper.